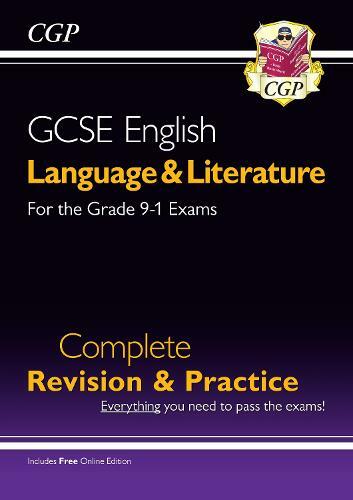 This CGP Complete Revision & Practice book is a superb all-in-one guide to success in Grade 9-1 GCSE English Language and English Literature! It's packed with clear study notes and examples that explain every reading and writing skill (including in-depth advice on spelling, punctuation and grammar), plus detailed sections covering prose, drama and poetry. There's a huge range of practice on offer in each section, including warm-up questions and exam-style questions for every topic. The book is rounded off with a full set of Language and Literature practice exams for students to try for themselves - ideal for final preparation ahead of the real tests. A free Online Edition is also included - just use the unique code printed in the book to access it on your PC, Mac or tablet.